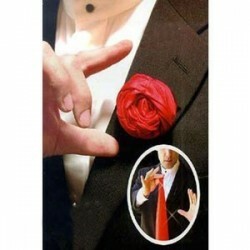 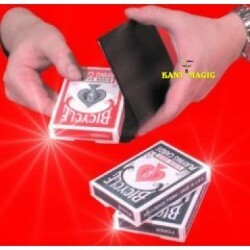 The performer shows two silks approximately 13″ x 13″ of two different colors (Red and White) tied together by their diagonal corners. 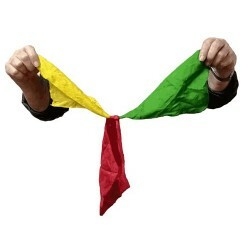 He passes the silks through his fist and they change into two silks in a Red and White checkered pattern. 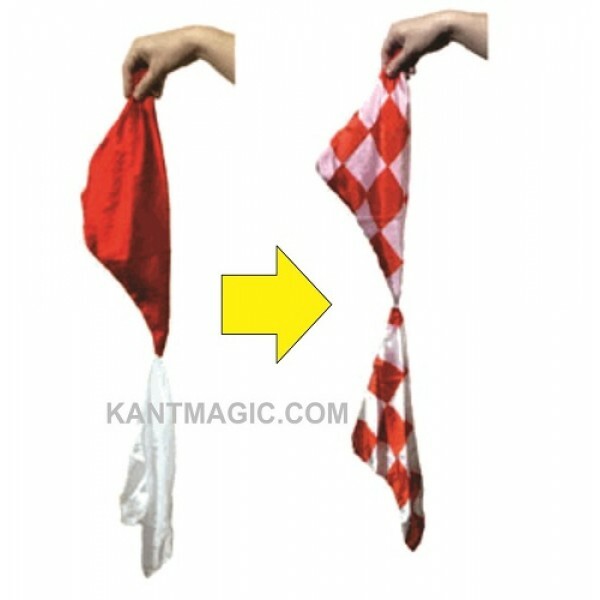 The effect can be repeated to transform the Checkered silks back to the Red and White silks. 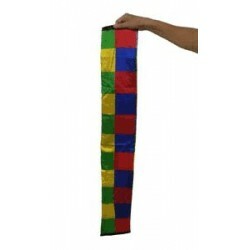 CHECKERS COLOR CHANGING SILKS - (Black-White) Also Avilable. 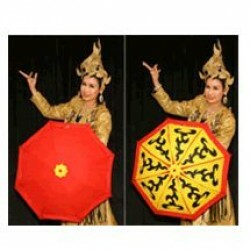 Color Changing Umbrella A Red umbrella is changed into a Yellow one rapidly without any shelter.per..